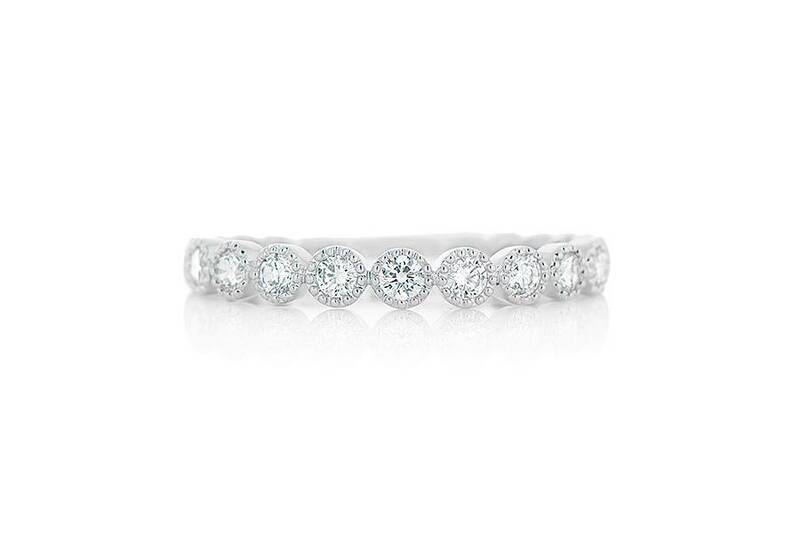 Ladies diamond bezel set band of classic contemporary styling. 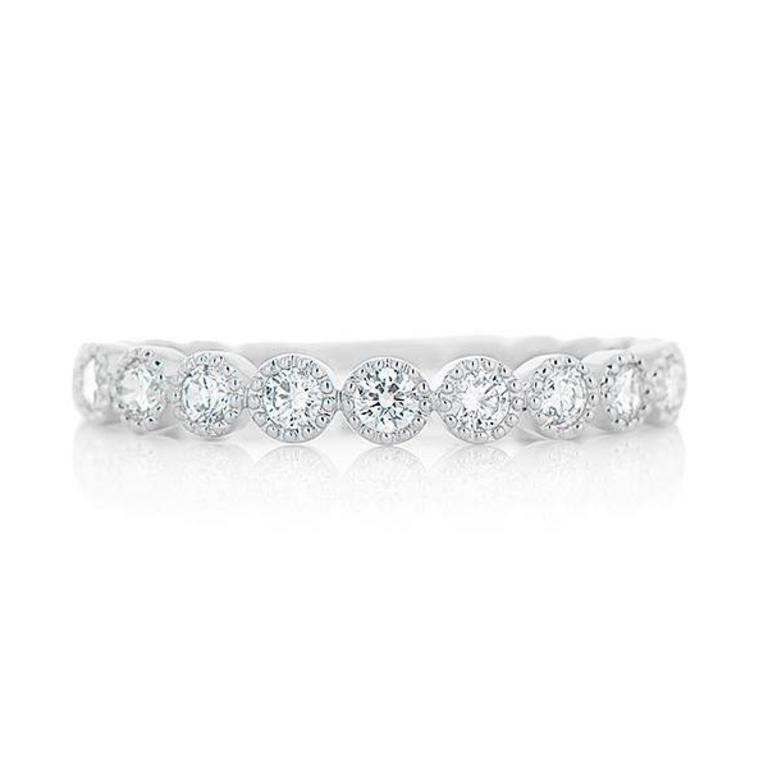 The band is crafted in 18k white gold and is set with nine round brilliant cut diamonds. These diamonds are individually bezel set and framed with multigrain detail.